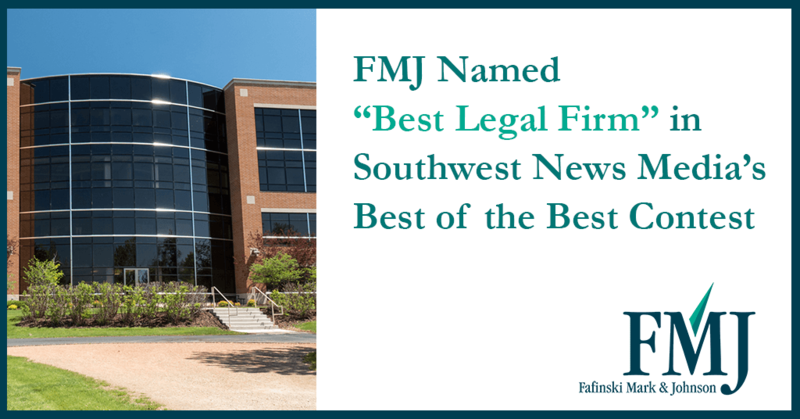 FMJ Named Best of The Best by Southwest News Media | Fafinski Mark & Johnson, P.A. FMJ was chosen as the “Best Legal Firm” in Southwest News Media‘s Best of the Best Contest. This was the second year for Southwest News Media’s Best of the Best Contest, and there was a large increase in audience participation over last year. They received 8,600 nominations in 70 categories. When the contest ended Sunday night, the vote total topped 30,000. Both figures represent more than triple the activity seen in 2017. Click here to read more and see the other companies selected.